When Avid announced the upcoming release of Pro Tools 12 earlier this year, they also revealed plans to release a free version of Pro Tools 12 called Pro Tools First. Considering the fact that Pro Tools costs $700 to purchase the full version, being able to get access to a free version is going to be a pretty big deal for a lot people that can’t afford to spend that much for music software. But the big question is how does the free version differ from the paid software? Fortunately the free version isn’t crippled by a major lack of features , an inability to export a finished project, a free trail, or other bait-and-trick nonsense like that. The free version is pretty close to the paid version in a lot of ways. The Pro Tools First software offers all the tools you need to record, edit, mix, compose, and export your music. You can record instruments through an audio interface, using up to four inputs at once, with up to 16 audio tracks total. 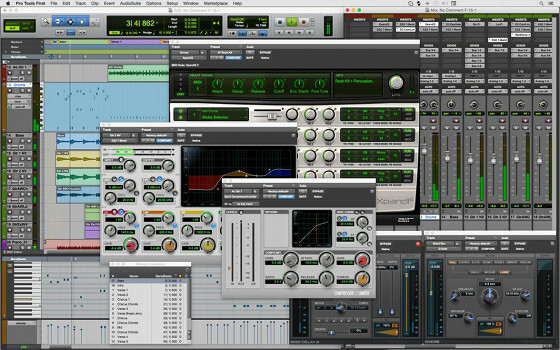 The free software offers virtual instruments as well, and you can purchase additional plugins from the Avid Marketplace. It comes with the Xpand!2 music synthesizer, MIDI editor, and over 20 effects, sound processors, and utility plug-ins like EQ III and Dynamics III, D-Verb and Mod Delay III. So basically the free version of Pro Tools 12 includes all of the main recording and editing features as the full version, such as the Edit window, the MIDI Editor pane, the Mix window, and the Smart Tools, but it lacks the more advanced editing features. On the surface Pro Tools First sounds like a pretty good option for those looking to save some cash on high-end recording software, especially beginners, but there is one big restriction that’s going to make it a deal-breaker for most. The biggest limitation with the free software is that you can only have three projects saved at one time. After you have three, you have to delete a project before you can start another. Plus everything has to be saved online to Avid’s cloud, although you can work offline. Avid is going to offer the option to purchase additional save slots to add more projects than three, but so far they haven’t said how much that will cost. Available for free for anyone. No iLok device required to use software. 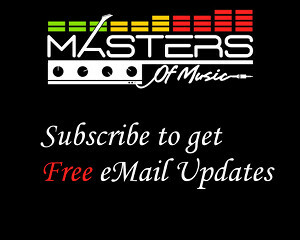 Has everything you need to record, edit, mix, and export your music. Supports 4 simultaneous audio inputs. Bundled software includes Xpand!2 multitimbral music workstation (hundreds of sounds), plus over 20 effects, sound processing, and utility plug-ins. Compatible with any Core Audio or ASIO-compatible audio interface. Includes music templates for various genres. Can work offline, even though everything is saved to the cloud (it will save in cache and sync the next time internet is connected). Have to purchase space to store more than three projects. Projects stored in the cloud. Plugins must be purchased through Avid’s marketplace. You cannot directly import or export other Pro Tools session files except with the cloud collaboration system (pending release). No clip gain, MP3 option, or direct export to iTunes or SoundCloud. No Beat Detective or Sibelius Score Editor. Max I/O 4 (32 with full version). Max sample rate 32-bit, 96 kHz (192 kHz with full version). Checkout the updated comparison chart at Avid to see how the different features stack up between software versions. You can also signup on the Pro Tools First description page to be notified when it becomes available. The Pro Tools First FAQ has some valuable information as well if you are looking for more details. Not sure about the free version but the with full PT 12 there’s a small arrow in the lower left corner to open and close the panel.